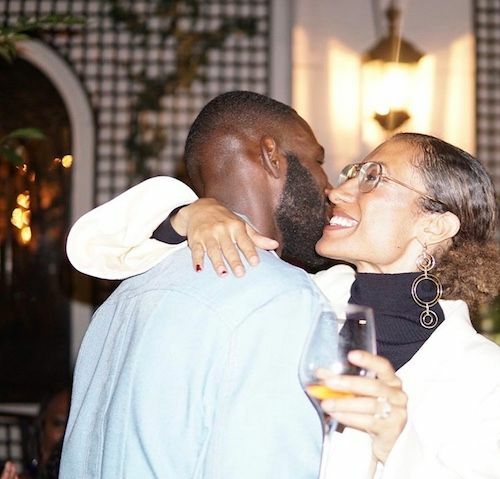 The third season of the hit OWN series "Queen Sugar" is about to return to our TV screens and we're MORE than excited about it. 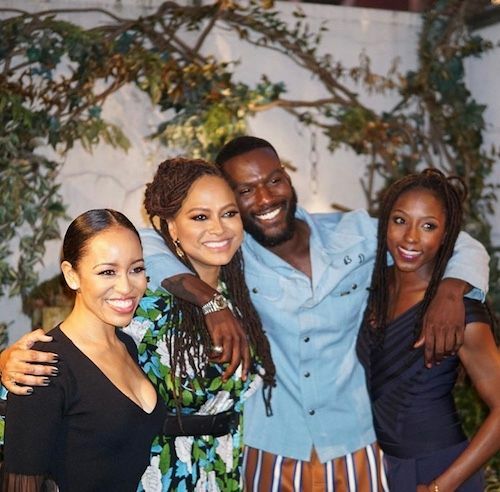 We've been having "Queen Sugar" withdrawals. 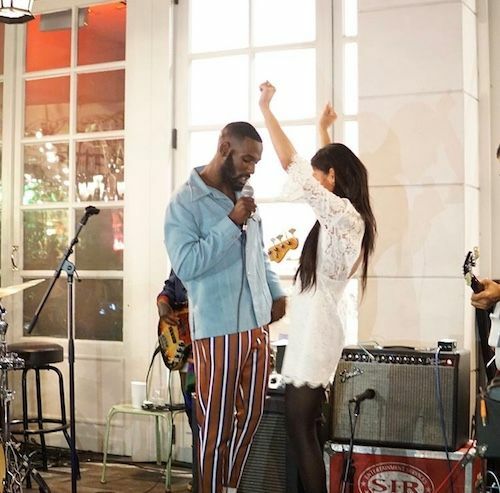 As we come up on the season 3 premiere date, the series' writer/director/executive producer Ava DuVernay hosted a garden party at Ladureé SoHo in NYC that promised to bring the spirit of New Orleans to the Big Apple. 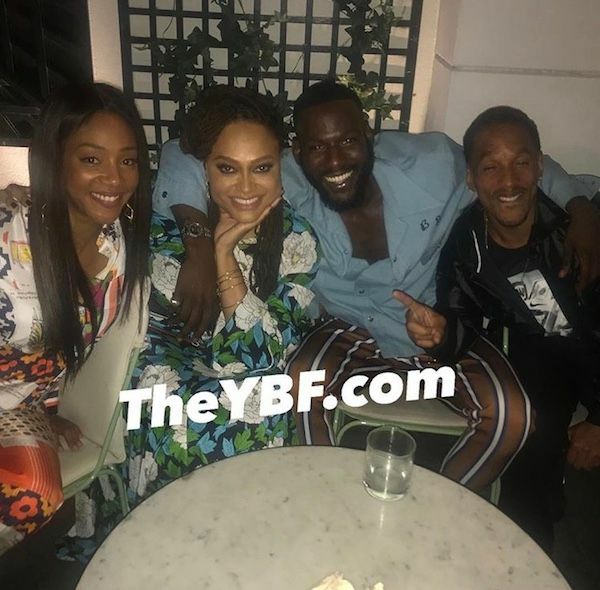 It was a total celebrity affair as several YBF stars were in the mix to celebrate the show, including the cast Dawn-Lyen Gardner, Kofi Siriboe, Rutina Wesley and Bianca Lawson. 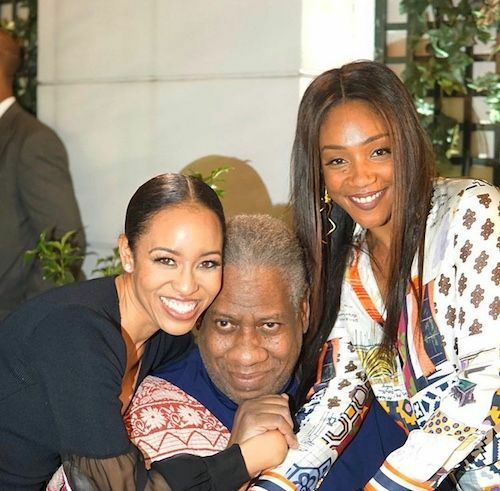 Other celebrities included actress/comedian Tiffany Haddish, singer Maxwell, VOGUE Editor-at-Large André Leon Talley, and actor Michael K. Williams, to name a few. Also, one of the "Central Park Five" men - Corey Wise (above, right) - was there. If you haven't heard, Ava's working on a five-part scripted series about the notorious Central Park Five for Netflix. 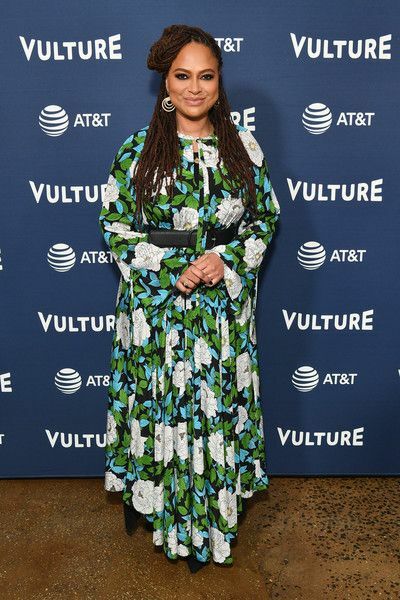 Ms. DuVernay took a moment to speak before the party guests, thanking them for their support and she also shouted out all of the stars in the building. There was one star that's likely less known, but if you watch the show, you at least know a part of her. Ava praised "Queen Sugar" composer Meshell Ndegeocello, a 10-time Grammy nominated singer-songwriter and bassist, for the extraordinary work she has presented over the three seasons of the drama in a video, captured by YBF correspondent Unique Chapman. The fab directress gushed over Meshell's artistry that has brought the show to life. "Did you know that Meshell Ndegeocello is our composer for three seasons now? Every time you listen to [a song on the show] you're basically listening to a new piece of art by Meshell. And so, it's another gift that Queen Sugar gives to you." The music definitely helps create the emotions the writers want you to feel. We all know Ava is a huge advocate for creating work for female creatives, especially black females. "She's been a long time musical love of mine, so when I approached her and asked her if she would be willing to compose for the show, she was so gracious and so generous with her time and her talent. But also she became part of a very small tribe: Black Women Compose For Film & Television. You can literally count them on one hand. It's not a good thing, but she is brilliant and she's the first of many." By the way, Meshell just dropped a new album titled, Ventriloquism, and Ava said it is BOMB. Meshell also performed a jazzy set during the party. We love how Ava continues to push for women's voices to be heard in film and television. We can't WAIT to see what's next for siblings Charlie (Dawn-Lyen Gardner), Ralph Angel (Kofi Siribo) and Nova (Rutina Wesley). 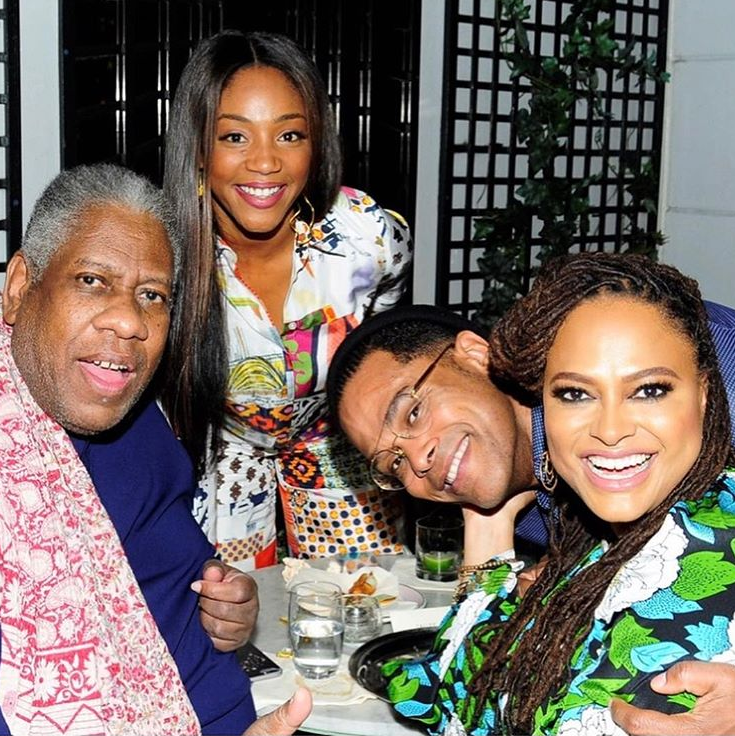 Singer Maxwell sat at the winner's table while celebrating his 45th birthday a few days early. Happy Birthday Maxwell! By the way, Tiffany Haddish will be hosting MTV's Movie & TV Awards set to go down on June 8th at 9/8c. Yep, "she ready." 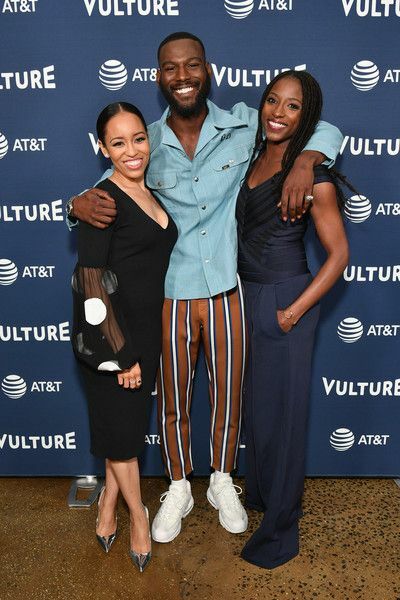 Ava, Dawn, Kofi and Rutina hit up the Vulture Festival at Milk Studios in NYC. 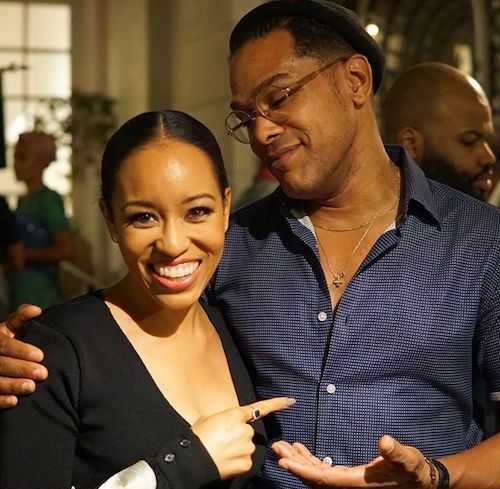 "Queen Sugar" will return for a two-night event on OWN Tuesday, May 29th, and Wednesday, May 30th at 10pm EST each night. The series will regularly air Wednesday nights at 10pm EST. In case you missed, peep the season 3 trailer HERE.